The best way to get to know a community is by scheduling a tour. See the facilities, meet the staff and residents, and get a feel first hand what it's like to live at Brookdale South Bend Assisted Living. 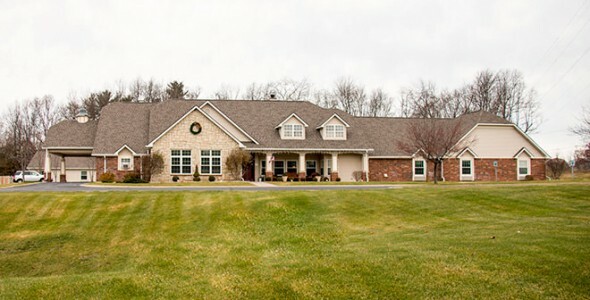 Brookdale South Bend (formerly Sterling House of South Bend), located in a quiet residential neighborhood minutes from the University of Notre Dame, is a cozy and intimate community providing personalized assisted living options for seniors. We put an emphasis on providing a wonderful lifestyle that lets residents live as independently as possible and allows them to enjoy life on their own terms. Our philosophy incorporates each resident's individual interests, and we provide opportunities that allow them to make meaningful life contributions. Brookdale South Bend is a Brookdale community. At Brookdale, we believe that our dedication to exceptional service and personalized care will exceed your expectations. The intimate, single-story design of Brookdale South Bend was designed to provide the kind of comfort and livability that one would expect from a private home. We offer many comfortable areas designed for socializing, dining and getting together with friends. Residents often relax in the cheery sun room, enjoy a morning paper in the library, tend their favorite plants in our outdoor garden area or watch the big game together in the media room. We offer a choice of floor plans for our private or companion suites, which are cheery and light filled. Each residence offers easy access for those with limited mobility and includes cozy carpeting, handy kitchenettes and private baths with step-in showers. Small pets are welcome at our community. We encourage and honor independence, and the personalized plans we create for each resident allow us to provide the right amount of care. Our dedicated staff is available to help with daily activities including bathing, dressing, grooming or dining. Nursing staff are on-call 24 hours a day and special services include continence management and medication support. Our dining program includes a daily selection of nutritious, fresh and flavorful dishes, including low-sodium, heart-healthy cooking, served by professional wait staff in our dining room. At Brookdale South Bend, we set the standard for quality senior living.